Here are two plots I made to illustrate this point. The first signal is not stochastic. Probability has nothing to do with it, even though it looks ragged, because every point is known. 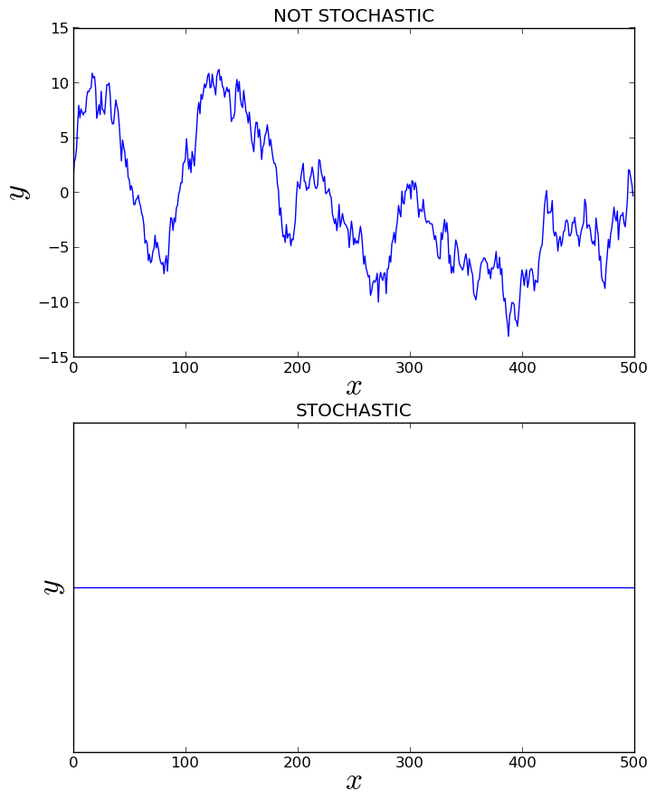 The second plot is stochastic. Even though it doesn’t “look random” (whatever that means), the y-value is unknown, so probability theory could be used. This entry was posted in Inference, Information. Bookmark the permalink. Are you going to live blog the conference next month? I have an image of the conference as being full of drunken fights, where professors make up the end by singing traditional navy drinking songs. I will make an effort to blog (or at least tweet) the conference. If anyone else does so, I’ll link to that too.